The manakins are beautiful, stocky little passerines, most less than 4.9 in (12.5 cm) long. 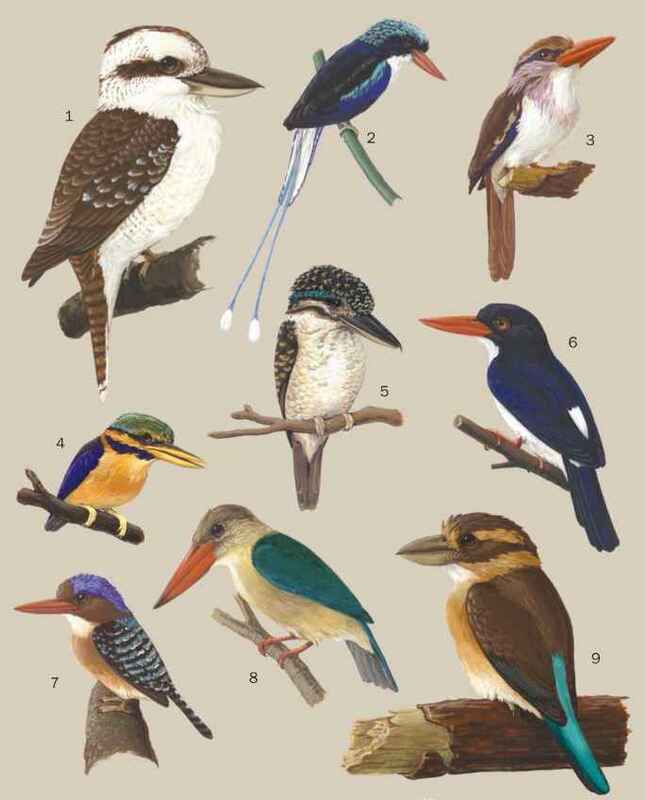 They have short, somewhat broadened and very slightly curved bills; rounded, short wings, sometimes with feathers modified in the males to produce sound effects. The legs are short. They have three toes in front and one in back of the foot, but the front middle toe is fused at its base with one of the adjoining toes. The eyes are large. Sexes are different. Female and juvenile plumage is typically drab olive-green. Male coloration is stunning—basic black and olive wings are contrasted with patches of intense white, blue, red, or yellow on areas such as the crown, neck, and mantle. Juvenile males may go through several intermediate subadult molts before acquiring full adult male coloration.